Before she died, Theanna (then Sara Lonsdale) developed a means to continue communication with her husband Ellias. Her words from beyond death's doors first appeared in The Book of Theanna, an introduction to the many realms of consciousness. Now Ellias has gathered and transcribed The Christ Letters, a collection of detailed accounts of Theanna's encounters with the Christ presence, transmitted at Christmas and Easter time over the course of several years. Drawing deeply on the feminine aspect of consciousness and framing her discussion around the astrological qualities of each of the seven classical planets, Theanna reexamines the figure of Christ and his teachings, exploding the myths imposed on Christ by church-based Christianity. What emerges is an unusual and inspirational account of the journey each one of us must take, from the darkest places of consciousness to eventual resurrection into the light of redemption. My intention is to carve out a space inside the soul for living pictures to speak so eloquently that Christ comes aliv before us and is no abstraction. Then we can listen within.. We can be quiet and still and slow enough to listen to the voice of Christ without plugging in to external sources. 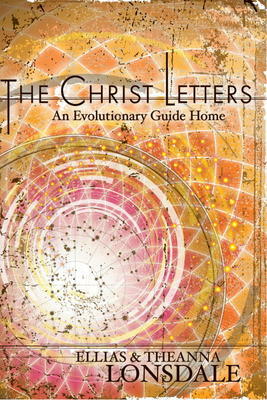 Not just another account of life after death, nor a channeled book in the usual sense, The Christ Letters enacts a virtually ignored method of spiritual communication. Theanna's principal goal is to make her process available collectively so that from this point on, people will "discover inside their own strength of being a Christ presence, something unexpected and wildly unknown." May all of us become loving and aware in the Age of Aquaria. May we become so loving and so aware that we even have room for Christ to be at home in our moment and in our breath. If we can foster a love and awareness-quickening in this Christ, this whole world will come alive through us.